#ShareACoke arrives in the Philippines! When it's hot and I'm super tired, I always crave for a big glass of Coke loaded with lots of ice. At an event held yesterday at SM Mega Fashion Hall's Atrium, the Share A Coke campaign was officially launched in Manila. These new limited edition Coke cans come with popular words often used by Pinoys like "Bro", "Barkada", "Panga", "Ate", "'Nay, 'Tay" and many more. They are available for purchase at most sari-sari stores, convenience stores, vending machines and supermarkets nationwide. Share A Coke booths can be found in select supermarkets, malls and schools. Input in the machine...and that's it! 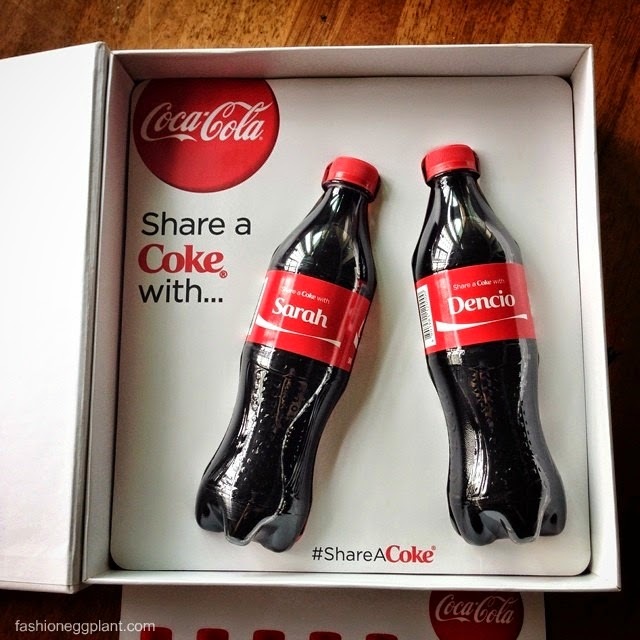 You only have to wait a few seconds to get your very own personalized Coke bottles! For more info + schedule, please check out www.shareacoke.com.ph or visit the official accounts of Coca-Cola Philippines on Facebook, Twitter, and Instagram (@cocacolaPH) .